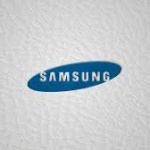 Download Xperia Launcher: Xperia Series devices are being manufactured by Sony officially. If you have seen any Sony device, then you must have seen it's running on Xperia UI. Sony devices are running on Xperia UI, which is pretty cool in comparison to other devices like Samsung, ZenUI etc. 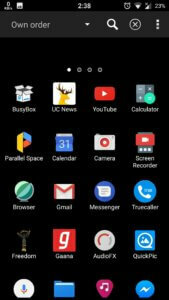 Personally I also like Xperia UI very much, That's why Today I am sharing how can you download and install Xperia Launcher on your Android device without even rooting it. 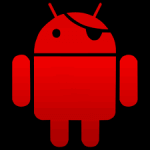 If you don't know what root means, then you should check our tutorial on how to root Android without pc. 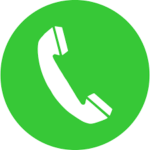 We have provided download link for of Xperia Launcher, which you can install on your device right now. 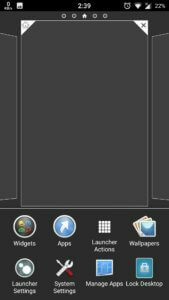 This Launcher is same as Xperia launcher but have some extra features. 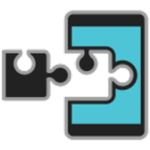 This launcher was pulled from Xperia Device and ported for any of the Android device by ra3al and it was officially posted on XDA. I was searching for some cool apps there and just found this launcher, which I was used on my device years ago. 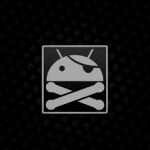 I want to share this Launcher with you guys, So you can also enjoy this awesome launcher on your device. 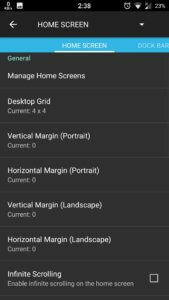 We have explained step by step tutorials about how can you enjoy this launcher on your Android and Installation Process, Check it out now from below. 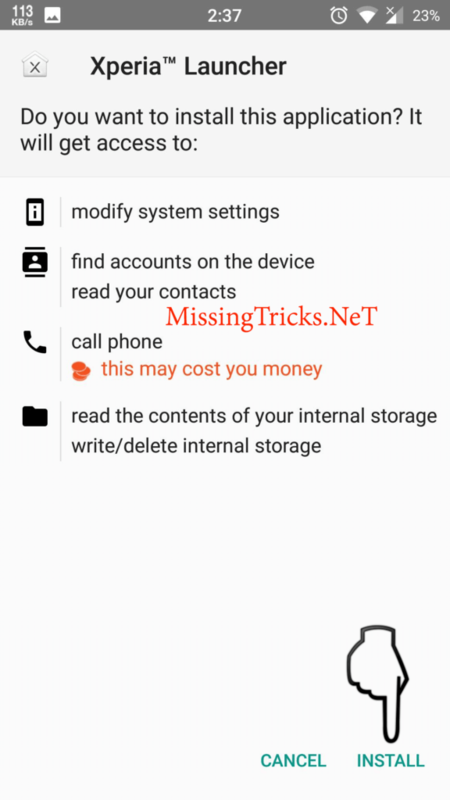 Want to know some of the Crazy Features of This Launcher before use it on your device? Simply check out some of the features of Xperia Launcher app now from below for know more about what xperia launcher can do on your device. 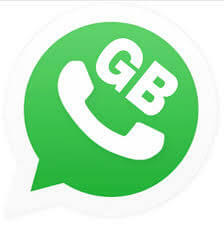 There are many other great launchers available for android like Windows 7 Launcher, Windows 8 Launcher. Don't forget to check it out. Original Xperia Launcher features included like manage Multiple HomeScreens, Search apps etc. 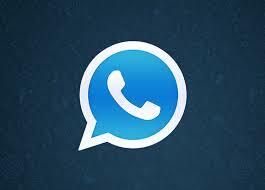 No Need to Install as System app, also working as Normal app. 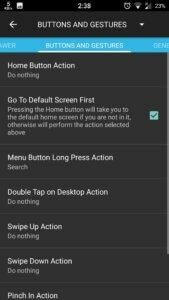 Gestures support for multiple actions. Hide apps from your App Drawer and let your friends don't see your secret apps. Backup / Restore all Settings of this Launcher. and much more features are there in this launcher. Simply Follow below easy steps now for know more about how to download and install this Xperia launcher app on your Android device. If you don't know how to install apps on Android device after downloading it, then don't worry. 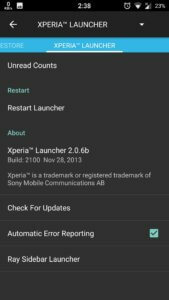 I will guide on about how can you download and Install xperia Launcher apk on your Android device without even rooting it. You have to follow step by step tutorial now from below and you can enjoy Xperia Launcher app on your device after follow these steps. Now After Download, Click on the app file and Select Install Button. Note – If you are getting Installation blocked option then Goto Settings – Security – Tick Unknown Sources Button. Now It will Install This Xperia Launcher on your Android device. 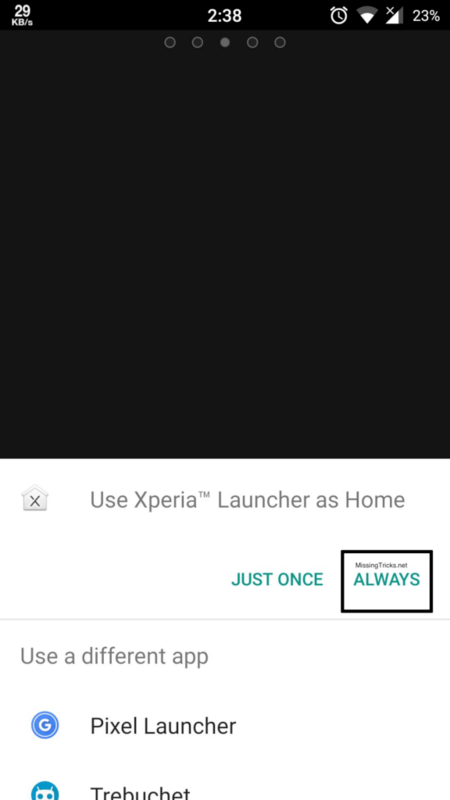 Press your Home button and Select Xperia Launcher, hit Always Button. Now You'll See Xperia Launcher on your HomeScreen. So Now Simply Drag and Drop Apps From your App Drawer to HomeScreen and Enjoy using this launcher. It have tons of other great features too, have a look at some Screenshots of this app now from below. 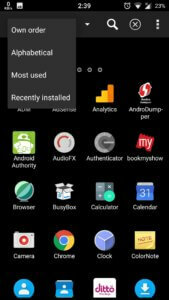 So Guys in this way you can download and install Xperia launcher on your Android device. 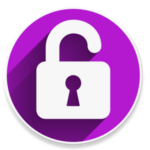 You don't need root access for use this xperia launcher on your Android device. Simply Download and Install on your device and enjoy Xperia Launcher UI on your Old Android device. For more cool stuffs like this, Stay tuned at our blog MissingTricks. Hello bro just need a favour from u it is like send me a link through which I can root my Lenovo k4 note without using pc . I tried using king root but it’s not working so pls inform me as soon as possible..
nice launcher, small size and takes small amount of memory.